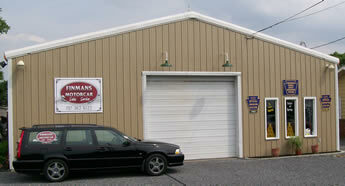 Here at Finmans Motor Car, we believe that bringing the best services to our customers is essential to success. We always strive to offer as many services to the customer as possible, with the goal of making you, the customer, happy! We are not only about Sales...Our Custom Body and Repair Shop is the best in quality and experience! If you're looking for the best pre-owned vehicle sales, you've come to the right place! We offer a wide range of pre-owned vehicles on our lot, and if we don't have what you're looking for tell us your preferences and "we'll find it for you."